You should well know, by now, my addiction to truffles. I was lucky enough to grow up in Umbria, a region in Central Italy where truffles are quite common. On pasta, on scrambled eggs, on bean soup…you would be surprised the ways this precious tuber can be tasted. Oprah Winfrey has recently visited Umbria specifically to go truffle hunting, and joined local farmers and their dogs in walks into the beautiful Umbrian woods. 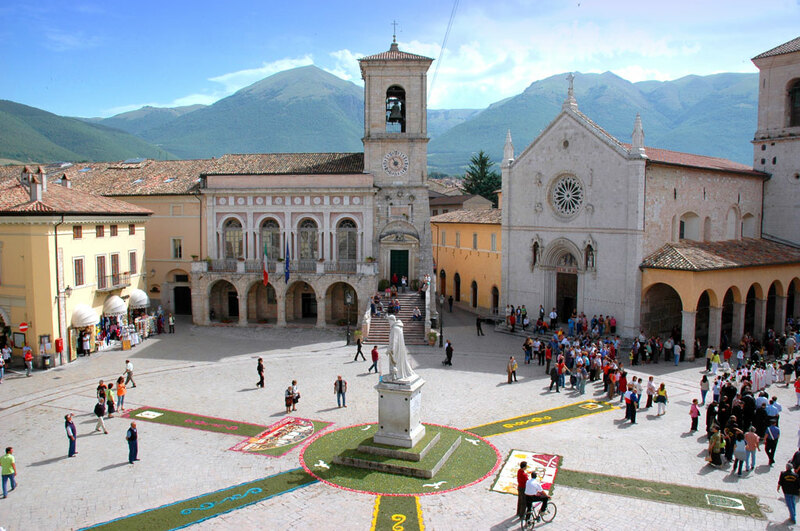 Starting tomorrow, for two weekends (from 27th February to 1st March and from 6th to 8th March) the streets of Norcia (a beautiful small medieval village in Umbria) will be invaded by truffle lovers, as the exhibition “Nero Norcia” is going to start. The truffle (nero, menaing black truffle) will be the main character of this event, though exhibitors will also promote local products, including cured meats, cheeses and several others wonderful typical products. 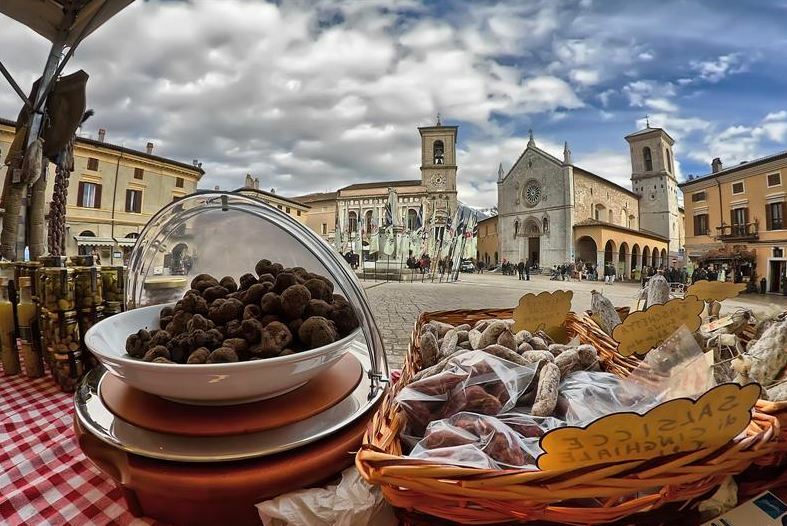 You can taste, talk and ask about, and buy truffles and all the other delicious products while walking the stunning ancient streets of Norcia. It’s going to be a blast for all your senses! This year the exhibition has been announced to be larger and more diversified than usual, with a gluten-free section and an organic-section. Italian celebrities and artists will join the crowd, and for two weeks the visitors will be entertained not just by the local products, but also by modern art exhibitions, jazz and traditional music bands, fashion shows and much more. If you are thinking about a last minute weekend trip…then that’s the place to go. You can fly either to Rome, Ancona or Florence airports and then travel to Norcia. Or, more closely, you can fly to Perugia (there are direct flights to Perugia from several large European cities including London). If you go for more than a weekend. Then once you have visited Norcia, you can travel around the other picturesque Umbrian villages, like Todi, Orvieto (so famous for the wine! ), Perugia per Terni (where the highest waterfalls in Europe are). So…what are you waiting for? Get on a plane! I am thinking about doing the same….